K9 Blitz was shot and killed while apprehending a man wanted for robbery and kidnapping. My brother David helped in teaining of Blitz with schutzhund level 3 training. 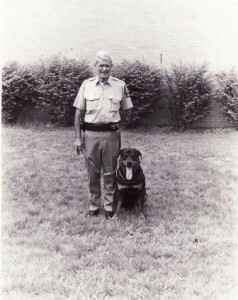 David was the chairman of the American Rottweiler club and an avid breeder and trainer of this great breed.